The Israeli cybersecurity company will soon become part of Microsoft after signing a deal estimated to be worth up to $150 million. After Aorato and Adallom, Secure Islands becomes the third Israeli cybersecurity company to join Microsoft in less than two years. Rumors about the IT giant's intentions made it online about three weeks ago, when Israeli business daily Globes revealed the pending deal and Fortune's inside sources confirmed the rumor. Earlier today, Microsoft made it official. 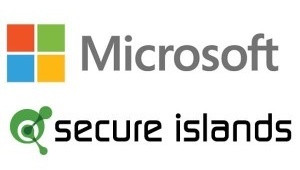 "Furthering Microsoft’s investments in security technology, I am pleased to announce today that Microsoft has signed an agreement to acquire Secure Islands, an innovator in advanced information protection solutions," writes Takeshi Numoto, Corporate VP of Cloud and Enterprise Marketing at Microsoft on the company's official blog. According to him, this move helps Microsoft to secure the data of its customers that use Microsoft cloud services, on-premises systems, third-party services, as well as any Windows, iOS, or Android device. Secure Islands' current customer portfolio includes big names like OSRAM, Vodafone, and Credit Suisse. The company has been founded back in 2006 and has raised $20 million to date, more than half from the capital arm of Swiss banker Credit Suisse. There is no official information regarding the financial terms of the agreement, but Fortune mentioned a value between $100 million and $150 million. The closing of the deal is subject to regulatory approval.